Season 28 of the NBC10 Newport International Polo Series, Presented by BMW kicks off on Saturday, June 1 and runs every Saturday through Sept. 28, with the home team - USA/Newport against challengers from around the world and major U.S. cities. Matches begin at 5PM / 4PM in September. Bring a picnic & blanket to spread on the lawn or reserve centerfield Pavilion seats. Audiences of several thousand attend the weekly contests, one of Newport’s most popular summer attractions. The 2019 schedule will be published on Jan. 1. The Box Office will open on March 15 for ticket sales. General Admission is $15/adult, kids of age 15 and under are free. Reserved Pavilion seating is $25/person. General parking is free. Tickets may be purchased online at www.nptpolo.com or at the entry gates on Game Day. (Advanced reservations are recommended for availability in the Pavilion.) For more details, see Admission Information and FAQs. Season subscriptions to the upcoming season of the Newport International Polo Series are on offer, as of Oct. 1, for member rates on Individual Lawn or Pavilion Seats, Reserved Tables, Corporate Tailgates & VIP Lounge Tables to take in all 18 weeks of polo action. Season Pass purchases by February 28th receive Priority Access to make Tailgate and Pavilion reservations. A limited quota of Group reservations for a select match is also made available on Oct. 1, to book your next polo party, prior to the Box Office opening. Visit the Groups page for more information and Contact Us to start planning. Stay current with 2019 season announcements, latest news & invitations, and more by subscription to our monthly eMagazine (sign up); always private and spam free. For specific match updates & details on Gameday, sign up to receive the Game Day Scorecard, by private subscription (sign up). During the matches, a weekly Door Prize drawing will award a special award to one lucky winner, and our contest for the Best Tailgate will reward a coveted prize & jumbotron moment of fame. Specialty vendors and concessionaires will be present in the Hospitality Village at the polo grounds, including the Twisted Pony Cocktail Bar, Horseshoe Wine Bar, Newport Polo Pro Shop, and a collection of unique specialty vendors and gourmet food truck concessionaires. 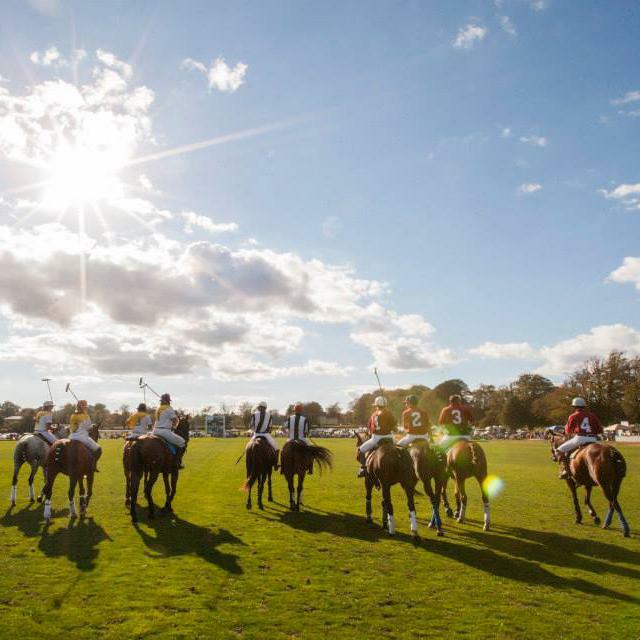 Dating back more than 130 years in Newport, the polo matches are one of Newport’s grandest & most popular traditions, a living legacy from the Gilded Age, and open to the public. Info about the Polo Series, the venue, concessions & amenities, and other information can be found on the About Newport Polo page. The Newport International Polo Series has hosted teams from over 30 nations including, Ireland, Germany, Spain, England, Argentina, France, Egypt, India, Australia, Costa Rica, Ghana, Canada, Chile, Jamaica, Nigeria, Portugal, New Zealand, Barbados, Scotland, South Africa, Hungary, Dominican Republic, Netherlands, Kenya, Brazil, China, Italy, Mexico, Sweden, Singapore, Monaco, Morocco, Peru, and Poland. Minutes from downtown Newport, the International Polo Grounds are located at historic Glen Farm, 250 Linden Lane (off of Rte. 138) in Portsmouth, RI. This bucolic setting is the last 100 acres of what was once a 700-acre manorial farm whose settlement dates back to the 1600's. Its classical stone barns from the architectural height of the Gilded Age and its park-like grounds were rehabilitated by polo series founder, Dan Keating, and thrive today as an equestrian & community recreational property, and home of the Polo Series. Best. Season. Ever. Each summer since 1992, the Newport International Polo Series is hosted by Newport Polo, home of America's first polo club, est. in 1876, offering public exhibition matches, polo club member services for grass & arena polo, and polo instruction year-round; founding member of the United States Polo Association. Be a part of it!